3 Bedroom Semi Detached House For Sale in Huntingdon for Asking Price £240,000. A charming three bedroom character town house, located within central Huntingdon, and boasts excellent access to amenities and transport links. The ground floor internal accommodation comprises; kitchen and lounge. The first floor proves a generous bedroom and family bathroom, whilst the second offers a further two spacious bedrooms. 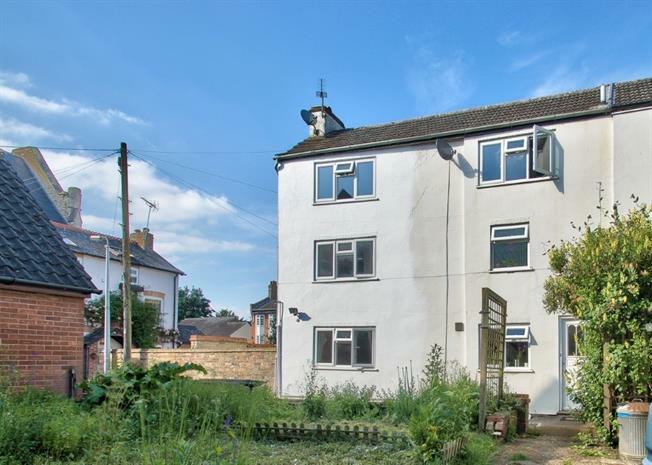 The outside boasts a landscaped garden as well as a versatile brick built room, currently being used as a utility room but can be ideal for a small conversion (STP) or storage space and allocated parking space. Double glazed uPVC window facing the front overlooking the garden. Radiator, vinyl flooring. Granite effect and roll top work surfaces, wall and base units, single sink with mixer tap and drainer, integrated, electric oven, integrated, electric hob, over hob extractor. UPVC double glazed window facing the front over looking the garden. Radiator. UPVC double glazed window facing the front over looking the garden. Built in wardrobes. Radiator. UPVC double glazed windows facing the front over looking the garden. Storage cupboard. Radiator. Double glazed uPVC window with frosted glass facing the front overlooking the garden. Radiator, laminate flooring. Low level WC, panelled bath with mixer tap, single enclosure shower, pedestal sink with mixer tap.